Whenever we head to Las Vegas, we like to spend part of our time away from the city. On previous trips, we visited The Grand Canyon and Hoover Dam. 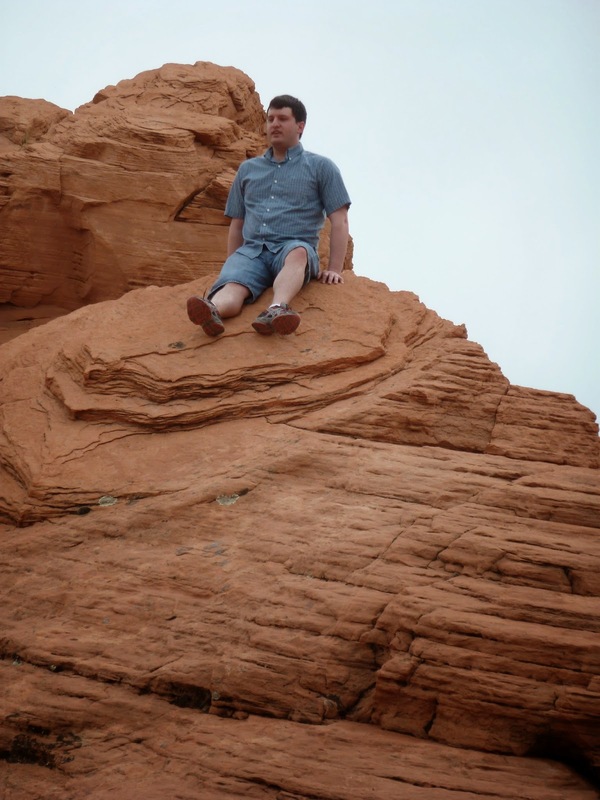 This time, we decided to stay closer to Vegas and visited Valley of Fire State Park. Valley of Fire State Park is only 58 miles from the Vegas Strip, and it took us about an hour to get there. The minute we got out of the car, I knew I was going to love it. The formations were so beautiful, and I especially loved all of the gorgeous colors. We spent most of the day driving around the area, stopping at Arch Rock, the Rainbow Vista, the Beehives, the Seven Sisters, the Cabins, and many other formations. It was a blast to hike to beautiful lookouts and to climb up the formations. After spending a day at the park, I felt like we barely scratched the surface and would love to come back and explore more in the future. what gorgeous photos! I have never been. Next time we go to Vegas, I will have to make sure we do something outside the city. This place looks beyond incredible! Great pictures, Olya. It's really not THAT far from me, and yet I have never been. I should change this. That's so cool looking! I would love to go there one day. Such gorgeous landscapes. I made my first trip to the Southwest with my husband and fell in love with it. I can't wait to go back! I'm planning a trip to Vegas in the next few months and we wanted to do something in the natural outdoors but were debating what (the Grand Canyon and Hoover Dam are neat but hard to get to for a short trip) but this may be the perfect option! Beautiful photos and I've never heard of Fire State Park! Did you stay out that way or closer to the strip? Oh my gosh this is so beautiful!! Those formations are simply stunning!! What an adventure! You guys seriously go to the coolest places. I just want to be you!!! Beautiful pictures, Olya! I'm hopping over from the Oak & Oats Linkup! Happy Monday!